Mathare Community Outreach Project is a grassroots,Â non-sectarian inter-denominational Christian human development program. Their mission is to improve the quality of life of the disadvantaged children and their families living in the Mathare Valley slum in Nairobi, Kenya. Currently, there are over 1,200Â children in the program from over 600 families. Most of these children only have one parent living at home, and many are AIDS orphans. 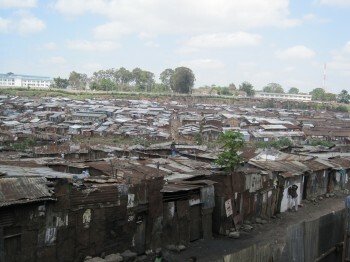 To improve the quality of life of the needy children and their families in the Mathare Valley slum in Nairobi, Kenya. To develop the capacity of the children and their families to become fully responsible for their own lives, and to be able to contribute to their families’ development. To stimulate and strengthen Mathare residents’ participation in their own family development initiatives, in order to achieve sustainable development. To network with other organizations which contribute to the care, development and education of children in Mathare. To strengthen emotional bonding of child/sponsor relationship- both locally and internationally. To provide spiritual nourishment to the area’s residents through preaching the saving power of Jesus Christ. Another arm of Mathare Community Outreach is the Kariobangi Childrenâ€™s Home. At Kariobangi there is housing for 72 orphans as well as classes for 300 students.Â There is a great need for larger facilities for classrooms as well as housing for the orphanage. Only the younger orphans are housed here and the older orphans are supported by providing rent for them in Mathare Valley. 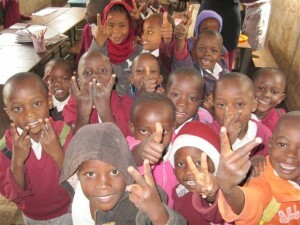 Those orphans are provided lunch through the school feeding program and food for their other meals. 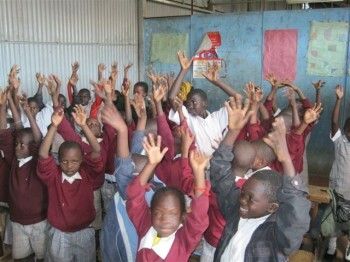 Please visit the website at www.mathareoutreach.org.